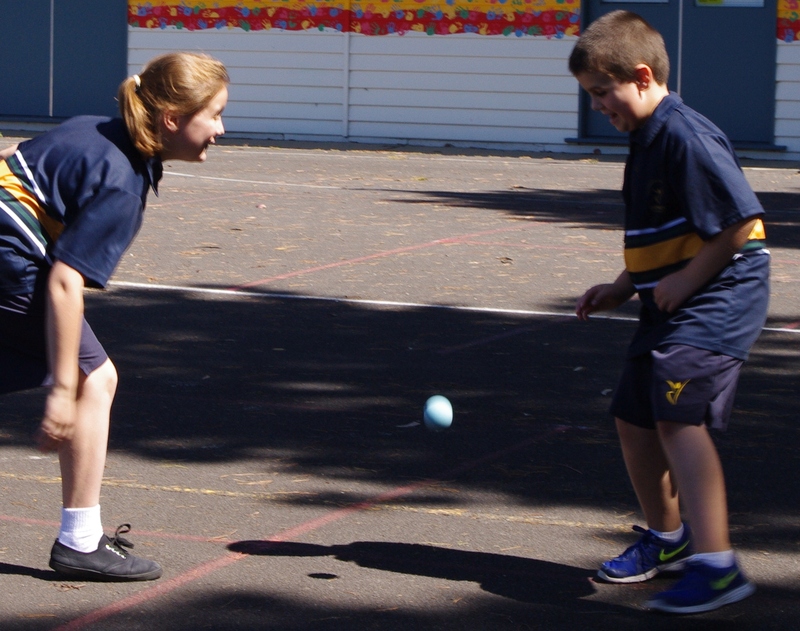 The Physical Education and Sporting program at Donvale Primary School aims to encourage every child to be actively involved and educated through fun and engaging movement activities. Knowledge and skills in this area are developed through play, games, gymnastics, movement awareness and ball handling. Participation in team sport cultivates a sense of co-operation, assists with the development of friendship and fosters an appreciation of what it is to be a ‘good sport’. During these activities the emphasis is on skill acquisition and development, participation for all, the development of healthy attitudes and an enjoyment of physical activity. 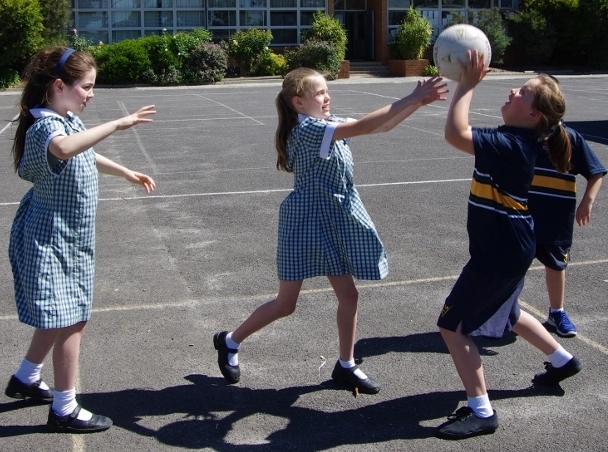 Each child at Donvale Primary School participates in a Physical Education for a session of 60 minutes per week and classroom teachers provide extra sport sessions. In the early years, Prep to Grade 2, students are involved in learning and developing their Fundamental Motor Skills (e.g. running, throwing, catching, dodging, ball bouncing, kicking, striking and forehand hitting) in both skill development sessions and application to modified games. 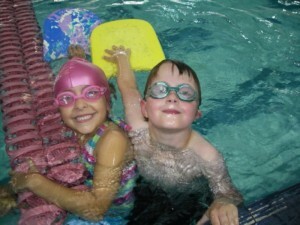 Students are also involved in basic movement activities such as dance and gymnastics. Over their primary school years our students develop these skills and then put them into practice firstly in modified games and team sports and then through Intraschool & Interschool Sport. All students also participate in an annual 6-day intensive swimming program, which is run by Aqualink in Box Hill. All children also participate in a 5 week intensive sequential Gymnastic program at a State Level gymnasium. 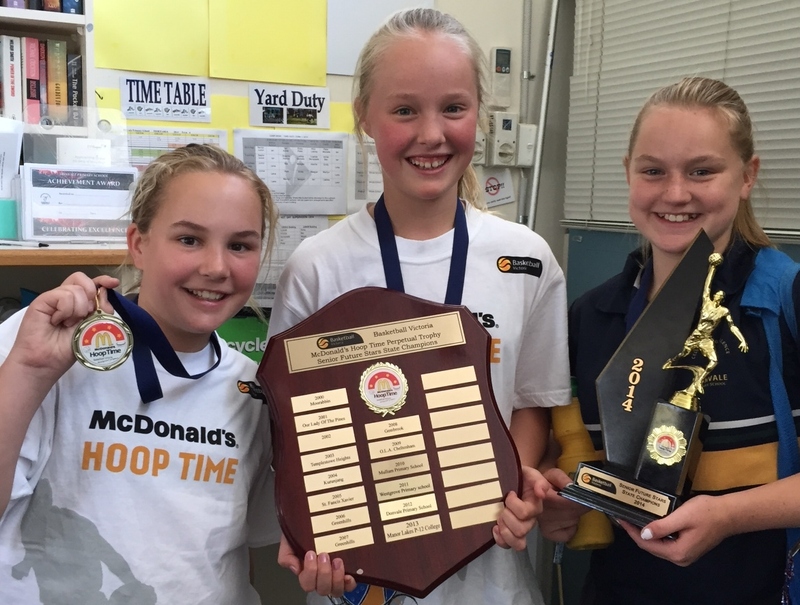 Through the PE program our students experience a wide variety of incursions run by various Sporting Associations. The following are examples of some incursions our students are involved in from Level 1 to Level 6 – Hockey, Football, Tennis, Soccer, Cricket, Basketball and Athletics Clinics. 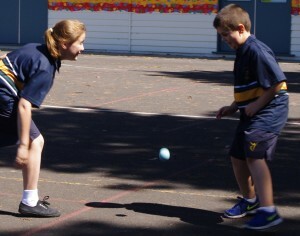 Participation in Intraschool Sport Programs commences in Level Three. Participation in District Sporting Events continues in Level Four. 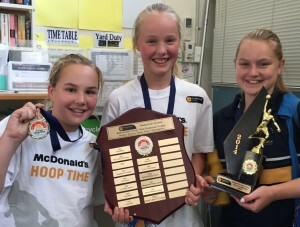 District Sporting Events also allow our students the opportunity to compete at a higher level in the following sports: Swimming, Cross Country and Athletics. Maximum participation is a key aspect. Sport coaching and sport clinics. Any queries regarding the Physical Education program at Donvale Primary School please feel free to contact Lena Clarke or Michael Hogg, the Physical Education Co-ordinator.